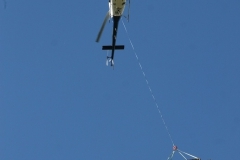 Helicopter Services (BOP) Limited is one of the few aviation companies in New Zealand, which has successfully been involved in precision lifting and construction at high altitudes. 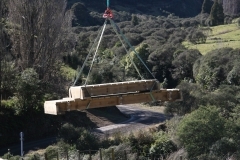 Our core business being to provide support for maintenance of the many Department of Conservation walking tracks and huts, as well as the busy Central North Island ski fields. For over two decades we have been instrumental in the success of difficult construction projects in the Central Plateau and on Mt Ruapehu. Recent projects in which our equipment and expertise have been proven, were the rebuild of the Knoll Ridge Café on Whakapapa Ski Field and the High Noon Express Chairlift at Turoa Ski Field. We operate both AS350 B2 and B3 aircraft. Our B3 would be one of the few being used for what it was designed for – high altitude conditions. Whether it be track maintenance on the Tongariro Alpine Crossing or a chairlift tower assembly at 7,500ft, we have the equipment and skill base to make a project as easy as can be. 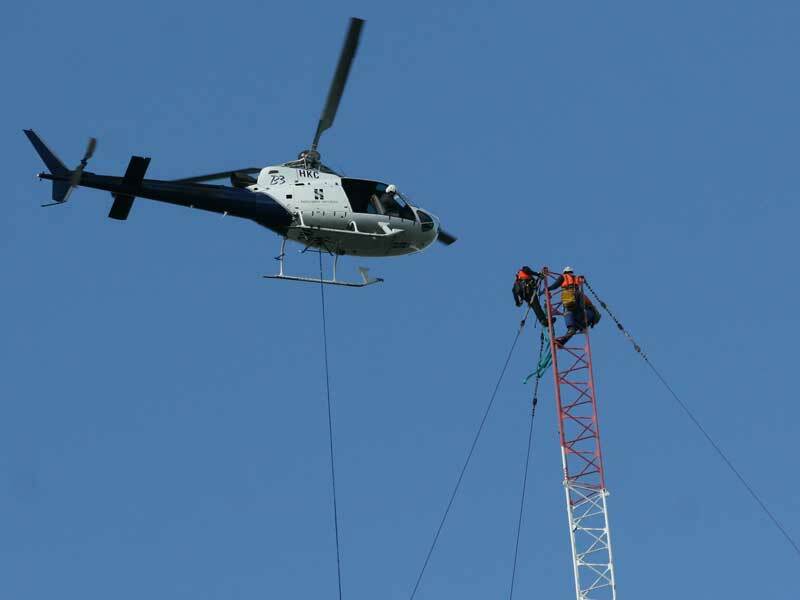 Our pilots have a broad spectrum of experience, having been involved in many lifting projects including power line construction, laying fence lines, logging, construction, removal of remote buildings and transportation of damaged aircraft, just to name a few. Basically, if it needs to be flown by helicopter, there is a good chance we can do it! 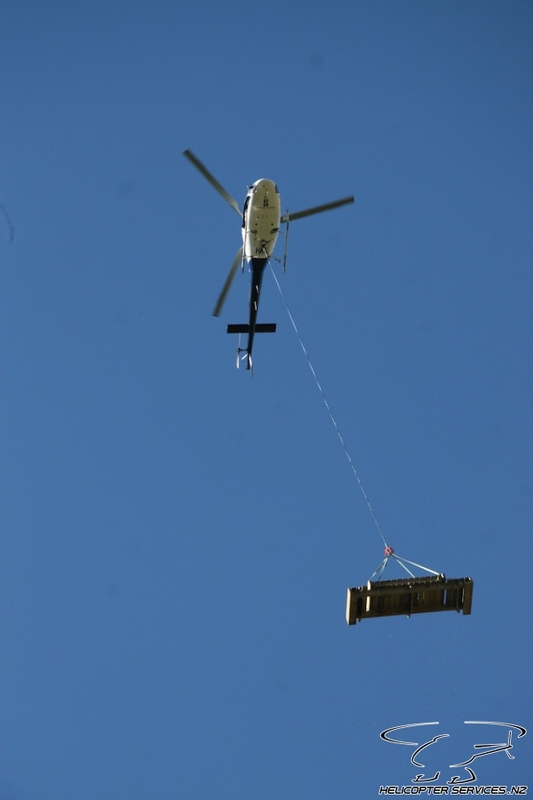 A helicopter is often a cost-effective way to get the job done. 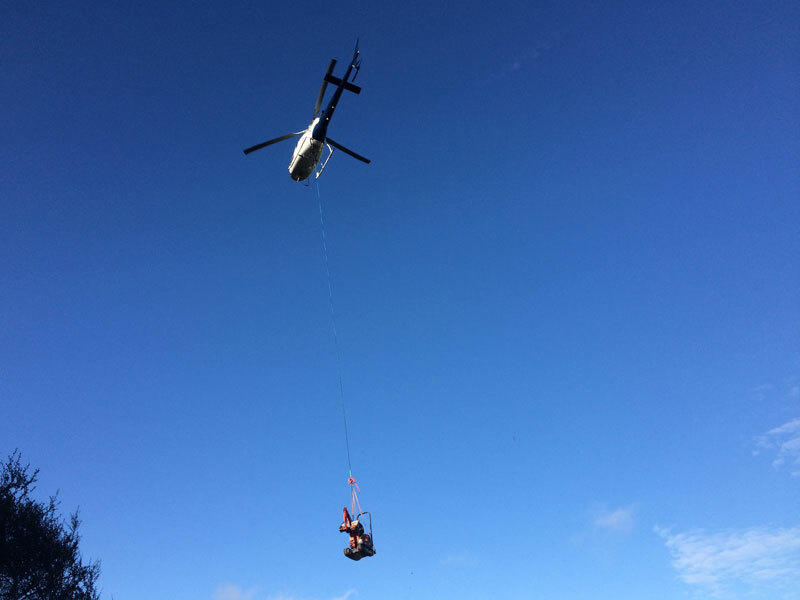 Pretty much everything we do with helicopters involve lifting loads from one place to another. Only Helicopter Services can provide you with the piece of mind you require to get the job done efficiently and safely. With a maximum lift capacity within our fleet of 1,400kgs, (in the right conditions), our AS350 B3 Squirrel certainly makes short work of your job. From moving firewood to shifting a car, we have the capability. If you need something heavier lifted, get in touch with us – if we can’t help, we’ll know of a reputable operator who can. From placing walls to pouring columns, we have the equipment and expertise to make your project a successful one. Our pilots have been in the industry for a long time and have the precision lifting and placement skills that is needed within the construction industry. Lifting excavator into a remote bush location near Tangahoe. Construction of 120 metre AM radio tower at Maketu, Bay of Plenty.